Since moving to this old house, I’ve spent my fair share of time assessing the landscape, musing about where plantings may have one been, and considering how things have evolved. Or devolved, as the case seems to be. I’ve envisioned potential frameworks clearly. An old photograph on the historical society’s website showed overgrown Barberry (berberis) in front of the house. Yet when we moved in, the property was completely devoid of landscaping, save for some new boxwoods on one side of the house. The hard, unworkable clay soil, so full of rocks, has made it pretty clear that neither a shovel nor a spade has ever been in use. Today, things got interesting. I had some time off and decided to stop by the historical society to see what I could learn about our house and its residents. I’ve discovered some tidbits and heard other legends, but I wasn’t expecting to find much in the half hour I could designate to research. 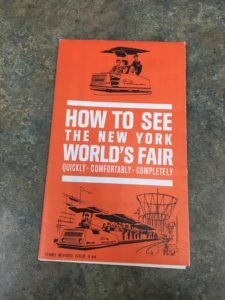 The volunteer pulled out a flat box of items from the original family, and I began to sort through it in anticipation of learning about this family that resided in our house for nearly a century. A deed. Some photos. Some charming vintage valentine’s cards. 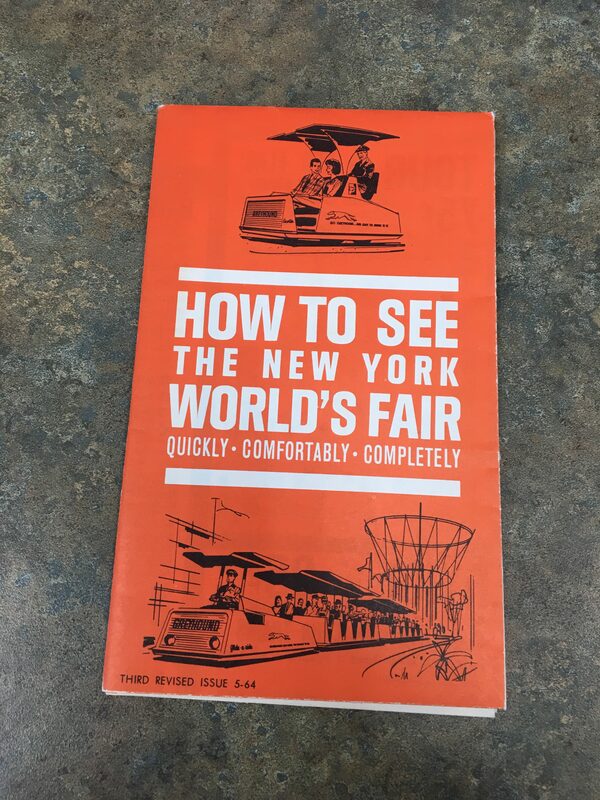 Even a 1964 World’s Fair pamphlet. As I lifted out another document, a blueprint caught my eye. I gently unfolded the aged paper and was startled to find a garden plan. Upon further inspection, it confirmed the property was ours. I was stunned and overjoyed — what were the chances of this document existing, never mind surviving? Did the design ever fully came to life, or did it just remain a plan? Some clues suggest it was implemented, at least to some degree. There’s still a privet hedge at the front of the property, as well as stone pillars flanking the entrance. Choked by other plants, I’ve cut back overgrowth to free up the privet. Then I pruned it nearly to the ground, with the hope it will grow back more vigorously. The schematic also references “white lilacs” in the very same area that some Japanese tree lilacs now tower, bearing fragrant white blooms in early June. As a child, I consumed Nancy Drew mysteries as fast as I could get my hands on them. The house and its gardens are a mystery to dig into now, and one that will keep me busy for a while. 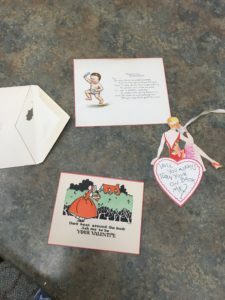 Valentines Day cards, a World’s Fair pamplet, and family photos were among the discoveries I uncovered visiting our local historical society.